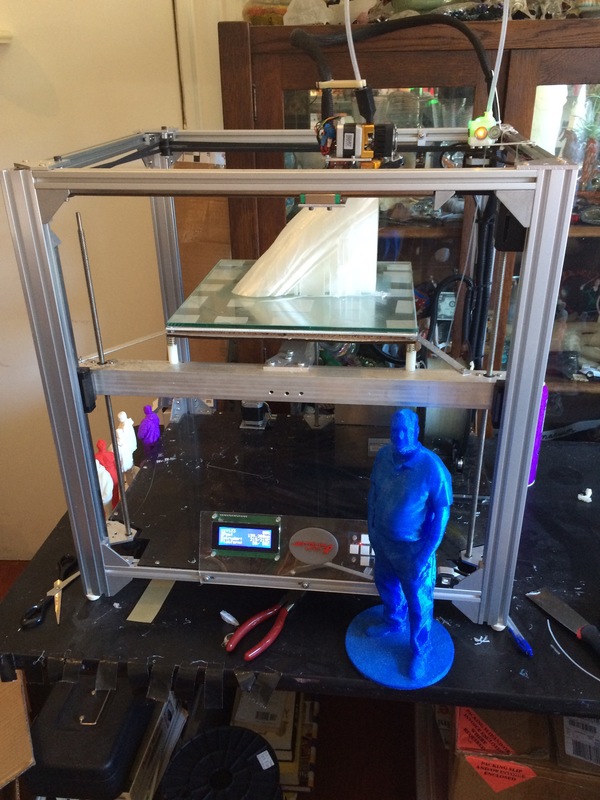 Jetguy‘s custom built CoreXY open source 3D Printer will be showcased at World Maker Faire New York this weekend at the Scan-A-Rama 3D Portrait Studio in the lower level of the New York Hall of Science building. Come out and watch this amazing machine with an amazing 330x325x390mm build area, filament detection to pause prints in case of a feed failure, Dampened Stepper motors for extremely quiet performance, and a number of other custom features. This machine is not to be missed! Its been a whirlwind ever since I went out to San Francisco for Maker Faire. I meant to post a recap of some of my favorite highlights of the weekend, but have been swamped with Scan-A-Rama and getting ready for this year’s fellowship at Wheaton Arts. This week I’m doing a quick visiting artist stint at the Pilchuck Glass School to get a 3D printing studio up and running. I’ll be teaching a course there next summer about methods of creating 3D printed models for glass casting… more on that later (but I’ll be looking for artistic teaching assistants with expertise in 3D printer building, 3D modeling and glass casting, so give me a shout if you’re interested!). In the meantime, Maker Faire posted my talk on YouTube. Overall, I’m happy with it. I confess I was called out by a fan for screwing up the Arthur C. Clarke quote, which should read “Any sufficiently advanced technology is indistinguishable from magic.“. Anyway, here’s the talk, and if you get a chance its just one of a playlist of a lot of great pieces, so check them all out! Tomorrow, I fly out to San Francisco to bring the Scan-A-Rama 3D Portrait Studio to the Bay Area. If you’re attending Maker Faire, please stop by to say hi. 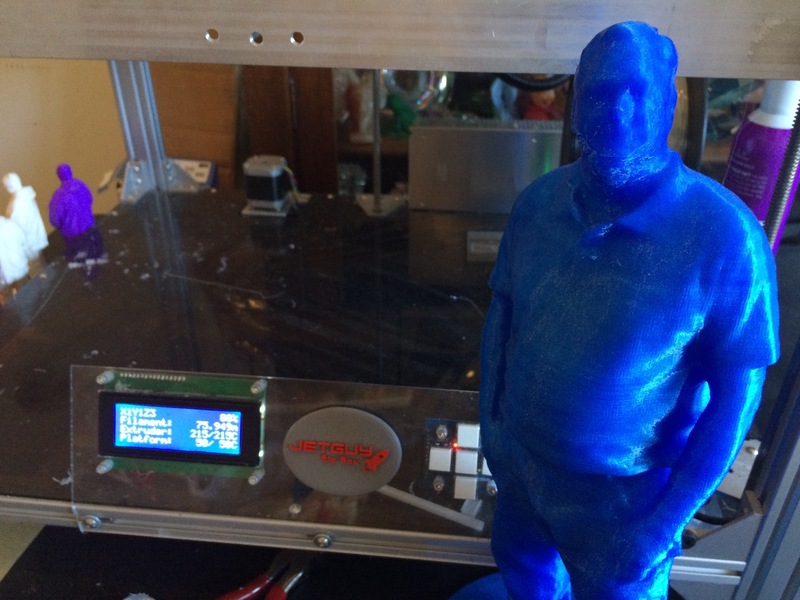 We will be in the large 3D printing tent and would love to make a 3D portrait for you. I’m also presenting Sunday at 1:30pm on the Center Stage so come see my talk “The History and Legacy of Technology as Entertainment“. I’m honored to be sandwiched between Autodesk’s Carl Bass and 3D Robotics’ Chris Anderson! 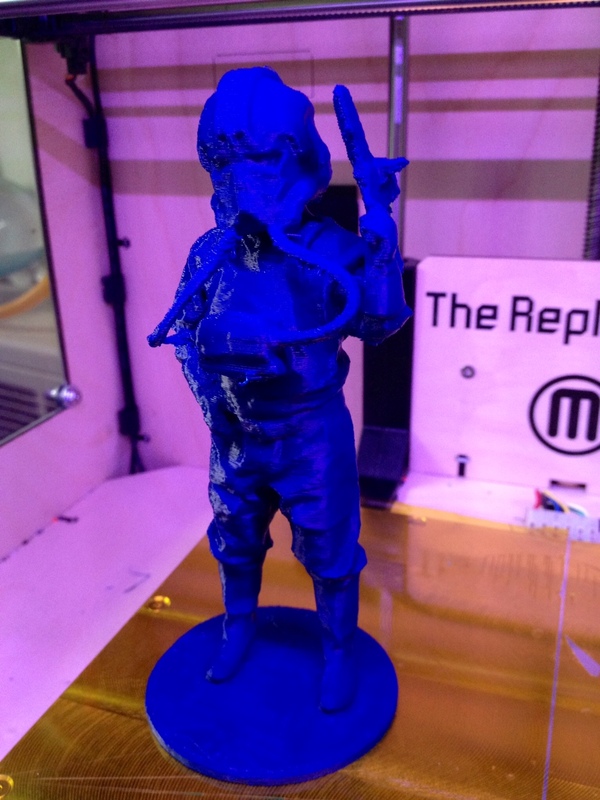 Westport Maker Faire- First 3DPrint file posted! Last night I posted the first of over 100 scans I made at the Westport Maker Faire last Saturday. Tonight, I’m hoping to finish processing the files (I have over half of them cleaned up for printing already). Then, by the end of the week everything will be posted to the collection page on Thingiverse.